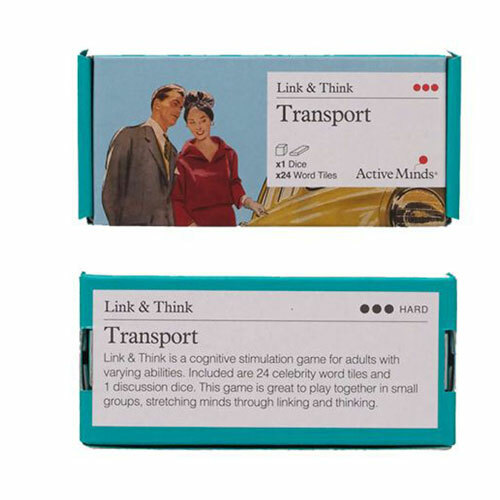 Link & think is an engaging cognitive stimulation game that encourages debate by supporting people to voice their opinions and thoughts about various transport topics. Do you prefer to travel by plane or boat?Group or one-to-one game. 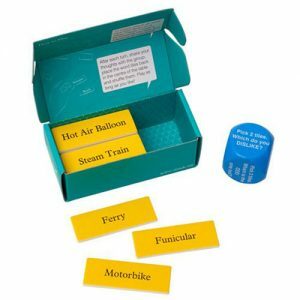 The game works by rolling the dice and following the instructions such as; Pick 2 tiles, how are they different? Then select the tiles at random and discuss.